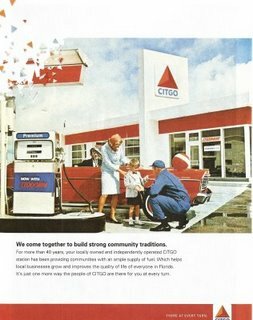 Citgo has been on an advertising blitz of late with full page ads in every glossy magazine on the newsstand. The oil and gas company wants you to believe that they are as American as apple pie with the tagline: "As Road Trips Go, This One Has Been Rolling 100 Years." There are pictures of happy American families at the gas station in the 1950s. While Citgo might have been born in America over a hundred years ago, it is currently a wholly owned subsidiary of Venezuela's state-owned oil company -- Petróleos de Venezuela, S.A., (PDVSA). That's right. 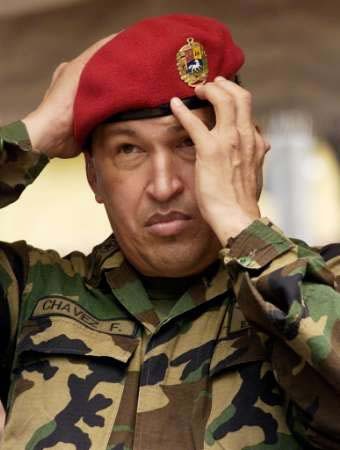 The Latin American nation run by fanatical anti-American leader Hugo Chavez also runs your neighborhood Citgo. "Let's save the human race, let's finish off the U.S. empire." "Israel has gone mad. It's attacking, doing the same thing to the Palestinian and Lebanese people that it has criticised - and with reason - [in the case of] the Holocaust. But this is a new Holocaust."